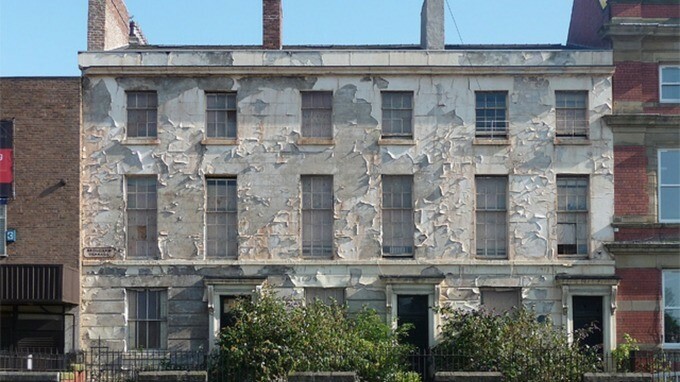 Some of the most beautiful and architecturally significant buildings in the UK are either “listed” or situated in “conservation areas”, in which it can be a criminal act to alter the building in any manner that affects its character, unless specifically authorised. Many of these buildings are dwellings of course, and it tends to happen that if they are old, grand or significant, they will include period features like sash windows, which once they reach a certain age under normal use are prone to sufficient wear to become draughty. The buildings themselves may settle or lean a little, which can also affect the windows. Herein lies an issue. Living in a listed period property in summer can be a blast, if it is cool, light and airy. In colder weather however, the prospect of the locals admiring your property from outside while you shiver inside is not an attractive one, so how can we insulate it? If we start with the windows, as these are often the biggest source of heat loss in a room; any warmth inside is exchanged for colder air because of the draughts and the (typically) thin single glazed glass. So what can you do about this? A very specialised job, likely to need approval on designs and materials, plus booking far ahead, unless you have the work done in the winter. For the fitting, expect a lot of scaffolding, dust and fresh air during the works, as old frames will need removal in their entirety. Hugely expensive, typically several thousand per window, but once done, good for many decades. Also a highly skilled job, and not necessarily much cheaper than replacement. If the wood is all good and just the brushes, cords and components need replacing, then not so bad, although repairs to sash panes will often take place off-site, needing temporary sheeting to the windows in the interim. 3) Secondary Glazing, leaving the outer windows unchanged but providing internal insulation. Permission for this is much simpler, as many systems are not visible from the outside when using clear plastic sheet. Keep in mind that if you are ever required to return the windows to their original condition, removal of secondary glazing makes this easy. It is always worth speaking to your local planning office to confirm matters, because irrespective of any advice, the buck stops with you if regulations are breached at all. For options 1 and 2, you could resort to Google, or you could contact an organisation such as the Listed Property Owners Club via www.lpoc.co.uk/help-advice/listed-building-consent. Apart from good advice and answers to FAQ’s, they have lists of approved tradespeople who have satisfied previous planning permissions with craftsmanship and authenticity of materials. For option 3, have a look at the Easyfix DIY range of secondary glazing systems. Tubeway Sales Ltd, the company who manufacture and market these products, have 55+ years experience in this field, developing their range over the decades to include sliding, magnetic, screw or stick-down systems, designed to accommodate all types of windows. Our websites include practical installation videos, full measuring and fitting instructions and cosmetic extras. Better still, many customers have had approval for and used the systems we make, and you have a choice of either fitting them yourself (for the smaller budgets) or employing a local handyperson to do so for you.